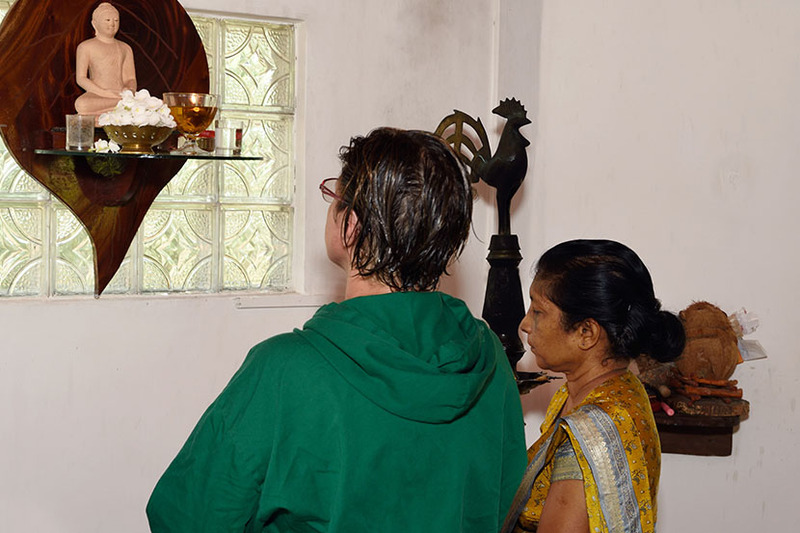 Dr. Manikkam Neranjanadevi Amarathunga is a descendant of a long generation of Ayurvedic doctors. Ancestors from both, her mother’s and father’s families have been Ayurvedic doctors for many years. Hence, the relationship between Dr. Neranjanadevi and Ayurveda started at a very early stage in her life. Her mother and her grandfather both practiced Ayurveda and she was a curious girl who always enjoyed helping them both in treating patients. She is commonly known as Dr. Neranjana. She recalls two very special moments in her life that interested her and played a major role in wanting to be an Ayurvedic doctor. At one instance it was how her mother treated Dr. Neranjana’s uncle that had an injury to the eye due to an accident at work. A small branch of a tree had struck his eye and wounded the sclera of the right eye. When he came to her mother for treatment saying, “sister I lost my eye,” she used a fresh coconut and a few ingredients that are used daily at home and created a paste. Which she then used to squeeze the juice into the eye. Although the patient screamed in agony giving the small Neranjana extreme fear of her uncle’s blood red eye, his eye was healed in just three days without any complication. This incident was very surprising to small Neranjana. When she inquired about the ingredients her mother used, she was told that one day when the time is right, she would teach her the ingredients and treatment methods to ensure the continuity of the long historical healing method that we today call Ayurveda. Similarly, one day when she was helping her grandfather, she had the chance of experiencing a unique treatment method. One of his patients came to him for a cataract removal, and he used part of a fresh Hibiscus flower and a few other Ayurvedic medicine to have the cataract removed. She was positively surprised how Ayurveda uses ingredients from nature to cure illnesses. 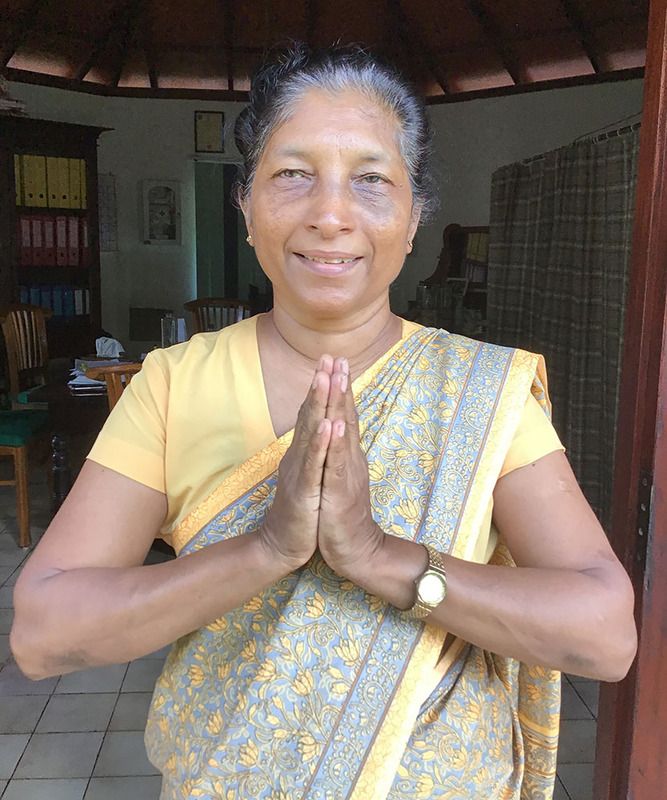 Pursuing her interest in Ayurveda she entered the Rajagiriya Institute of Indigenous Medicine in 1978 and completed her D.A.M.S . (equivalent to Bachelor of Ayurveda degree) a five year course of Ayurveda Medicine and Surgery at IIM of the University of Colombo in 1985, and completed her one year internship in government Ayurveda hospitals. There after she practised at medical centres in which she obtained valuable experience in patient care and preparing Ayurveda medicines. To complement this, she also has Postgraduate Diplomas in Ayurveda medicine, Counselling and Women Studies which she obtained all from the University of Colombo. Her Master in Acupuncture was obtained from the Acupuncture Foundation. In 1990 she was appointed as a government Ayurveda Medical Officer of Health at Manampitiya and Ayagama. Later in 1995 she was appointed as a Medical Officer at the prestigious Colombo (Borella) National Ayurveda Teaching Hospital in which she rendered her services for seven years. Once again she got the opportunity to serve her home town area as a government Ayurveda medical officer. Where after she was transferred to the National Ayurveda Teaching Hospital. She has held numerous positions within the Department of Ayurveda during her 28-year service period to the government. Chief Medical Officer being one of those positions in which she was able to oversee the treatments of a vast number of patients. After graduating she has more than 32year experience in her carrier on top of her family back ground experiences. Dr. Neranjanadevi joins us with a vast experience of 32 years in Ayurveda with very early experiences in her child hood too. Within this period, she has treated and counselled patients with numerous illnesses and has hands-on experience in producing ayurvedic medicines, which is a priority for Lotus Villa. Dr. Neranjanadevi and Lotus Villa has common focus on health is wealth. Our late Chief Doctor, Dr. Waidyawansa has over the years guided both, Lotus Villa and Dr. Neranjanadevi in utilising the true healing powers of Ayurveda. At Lotus Villa we have 3 assistant doctors employeed full time so that there is at least one doctor in the premises 24 hours a day. Therefore, should you get pains or feel unwell in the night, you only need to ring the alarm bell at your bed and a physician will come and see you.